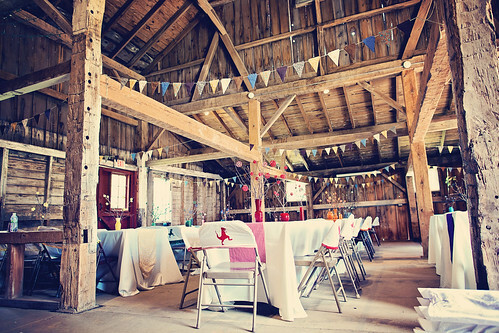 Your Best Wedding: Barn Reception Decor for Wedding. Barn Reception Decor, a photo by RachIgnatiev on Flickr. Hand made elements included: chair covers, table runners, centerpieces (every table had it's own color scheme), and the bunting strung between the beams.